Join over 38 million people throughout the nation as they join together with their local police departments to promote police-community partnerships; crime prevention and safety; and neighborhood unity. The event is free and fun for all ages. 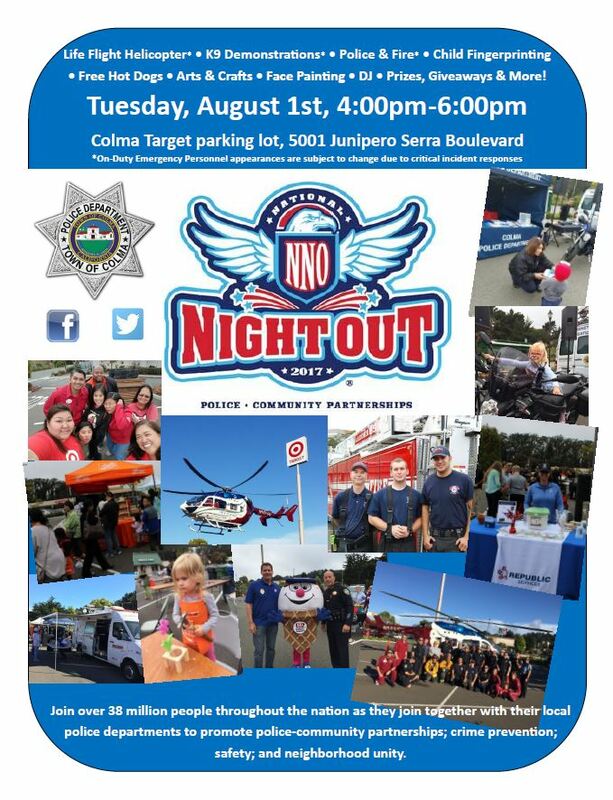 Highlights include K-9 demonstrations, Stanford Life Flight helicopter, child fingerprinting, arts and crafts, face painting, DJ, hot dog bbq, giveaways and more! You can also check out the event details on Facebook!